Webber Electronics' stock is centralized in Northeast Ohio. We maintain a substantial inventory, which enables us to be responsive to our customers’ needs. Special made-to-order items are quoted with appropriate lead-times and shipped per confirmations. All orders must be made out to Webber Electronics. They may be placed by mail, fax, telephone, web, or e-mail (sales@webberelectronics.com) with our Customer Service Representatives or with one of our regional sales representative firms in your area. Our Customer Service Department can assist you with price and delivery quotations, availability, samples, technical assistance on agency approvals and requirements, and order entry. 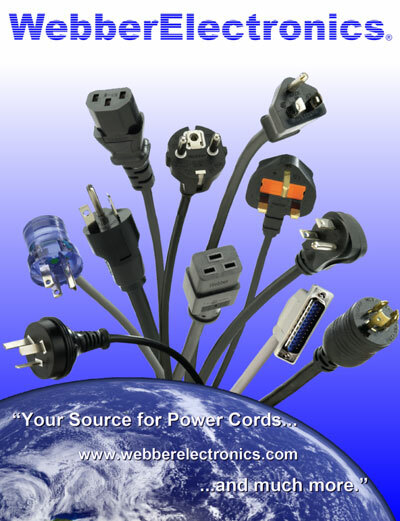 Webber Electronics is open 8:00 a.m.–5:00 p.m. Eastern Standard Time. Standard Orders: Unless otherwise requested and confirmed, all orders for stock parts have a 1 business-day lead-time, and may not ship the same day the order was placed. However, we will attempt to ship most orders same day if recieved prior to 2:00PM EST. All orders are on hold until final payment is cleared from the credit card merchant. Online orders do not ship until payment autorization is complete. Scheduled Orders: Orders may be placed with scheduled shipments out as far as 12 months. Special/Blanket Orders: Merchandise that is special ordered or is not a standard item may not be canceled or refunded.